The crisis in Ukraine has rightfully captured the world's attention over the past few weeks. There's been no shortage of commentary about the implications of this crisis from many angles, including the current relevance of NATO and how Europe's dependency on natural gas that is piped through Ukraine affects its response to Russia's incursion into Crimea. Virtually every aspect of the manned and unmanned US space program -- including NASA, other government agencies, private aerospace company's and crucially important US national security payloads -- are highly dependent on Russian & Ukrainian rocketry and are therefore potentially at risk amidst the current Crimea crisis as tensions flared up dangerously in recent days between Ukraine and Russia with global repercussions. The United States has not had any real manned spaceflight capability since the Space Shuttle fleet was retired. Our astronauts have to travel on Russian Soyuz spacecraft in order to get to and from the International Space Station. NASA's post-Shuttle manned spaceflight vehicle is years away from being operational, and commercial ventures have yet to be able to provide the sort of reliable manned spaceflight capability that the United States had during the 1960s, much less during the heyday of the Space Shuttle program. While NASA's administration has stated that the Ukraine crisis and the corresponding deterioration of U.S.-Russian relations has not endangered the U.S. mission at the International Space Station or changed future plans for collaboration in space, it is clear that the reliance on Russia as a manned space flight partner has serious risks attached to it. I'm not suggesting that the Obama administration should alter its response to Vladimir Putin's adventurism in Ukraine because of this one issue, and I'm not sure the administration can do much in the immediate term regarding manned spaceflight. However, I am suggesting that relying on the kindness of foreign nations (particularly nations like Russia) or the hopes of private-sector spaceflight development is not the best way for the U.S. to conduct itself as a leader in manned spaceflight over the long term. The federal government needs to allocate more funding for an independent manned space travel program. 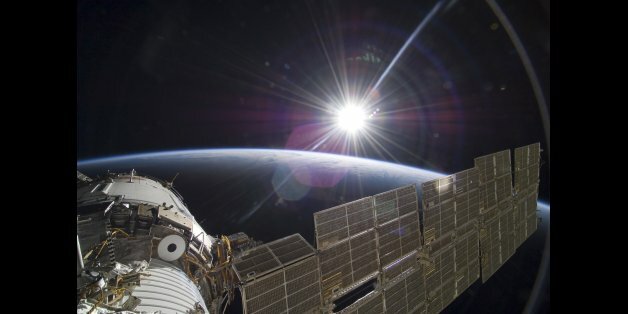 This funding should at the very least provide more support for near-Earth orbital missions like the International Space Station, or for launching and repairing satellites, and ideally should support more ambitious missions like a return to the Moon or a journey to Mars. The U.S. cannot afford to rely on the space programs of other nations, or to wait until for-profit companies are able to provide dependable and effective manned space vehicles. If nothing else, the Ukraine crisis shows that if manned spaceflight is something that the U.S. wants to continue (and I would argue that it is something that the U.S. must continue in order to remain at the forefront of science and discovery), it cannot be done on the cheap or by relying on the efforts of others. It's time for the federal government to reengage NASA as a prime part of America's scientific research apparatus, and to make independent American manned spaceflight a priority and a reality again.